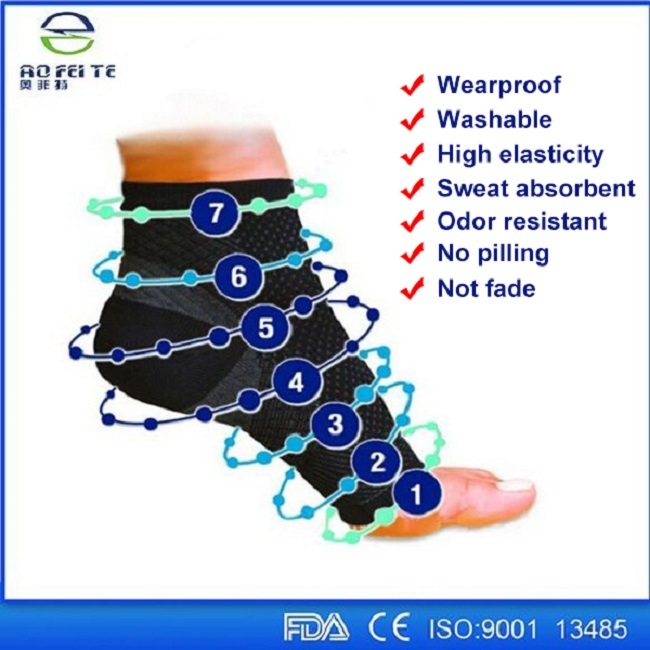 Socks ankle compression sleeve exerciser sport brace can be worn on either the right or left ankle and will comfortable fit into shoes. One size fits most. Open heel design allows wide range of motion during activity and still provide support for the ankle tendons and joints. Ideal for speeding up the recovery period for chronic and acute ankle injury symptoms, protects the ankle and minimize the risk of injury. Breathable neoprene material retains heat and prevents skin irritation. one pair/ color box, then CTN box. Payment: 30% T/ T deposit in advance, the balance cleared before shipping. Looking for ideal Ankle Foot Exerciser Manufacturer & supplier ? We have a wide selection at great prices to help you get creative. 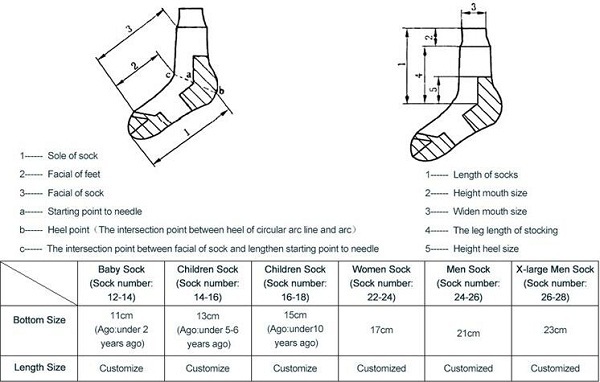 All the Socks Ankle Sleeve are quality guaranteed. 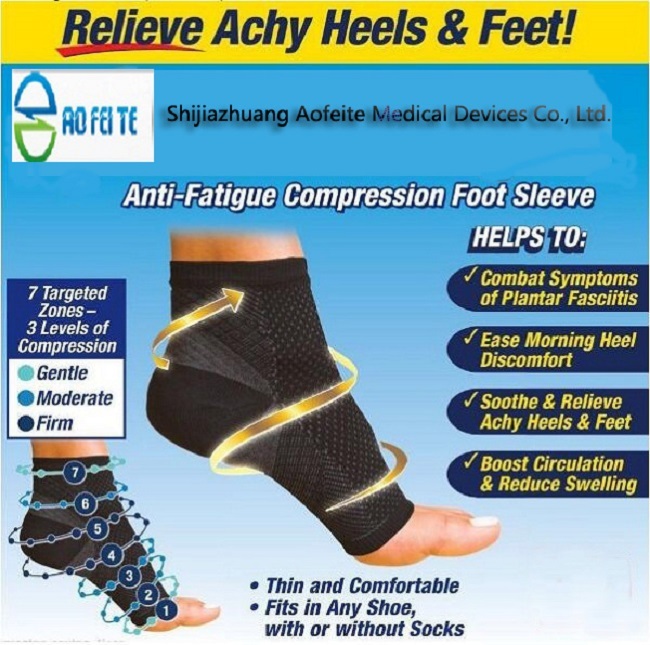 We are China Origin Factory of Ankle Compression Sleeve. If you have any question, please feel free to contact us.